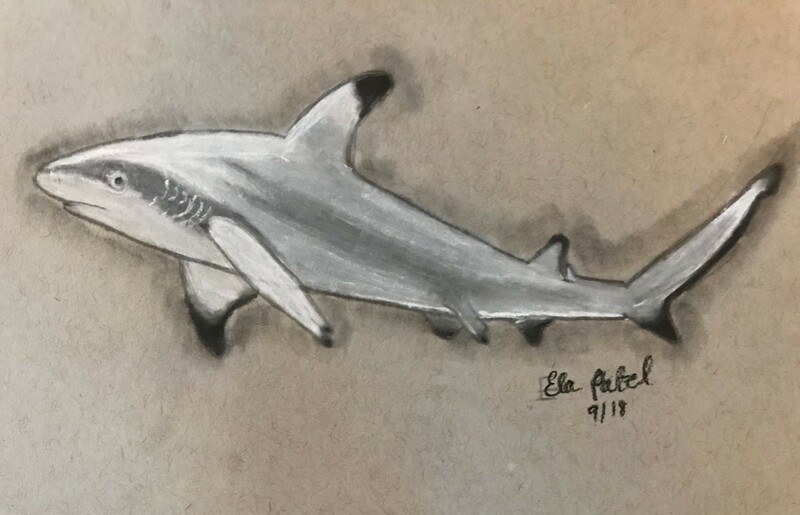 The common name of the blacktip reef shark Carcharhinus melanopterus is a perfect reflection of its appearance and where it lives; it’s a small shark that is found along reefs and has black tips that are particularly prominent on its dorsal and lower tail fins. With an average total length of five feet (1.5 metres), it is predominantly grey above and white below. These sharks mainly live around the southern Great Barrier Reef, the Red Sea and Indo-Pacific reefs. Unfortunately, they are at risk of being overfished by humans. It is essential to understand the species because if two populations that reside in different places are genetically different, it becomes even more important to protect both populations from going extinct in order to conserve the unique genes found in each one. 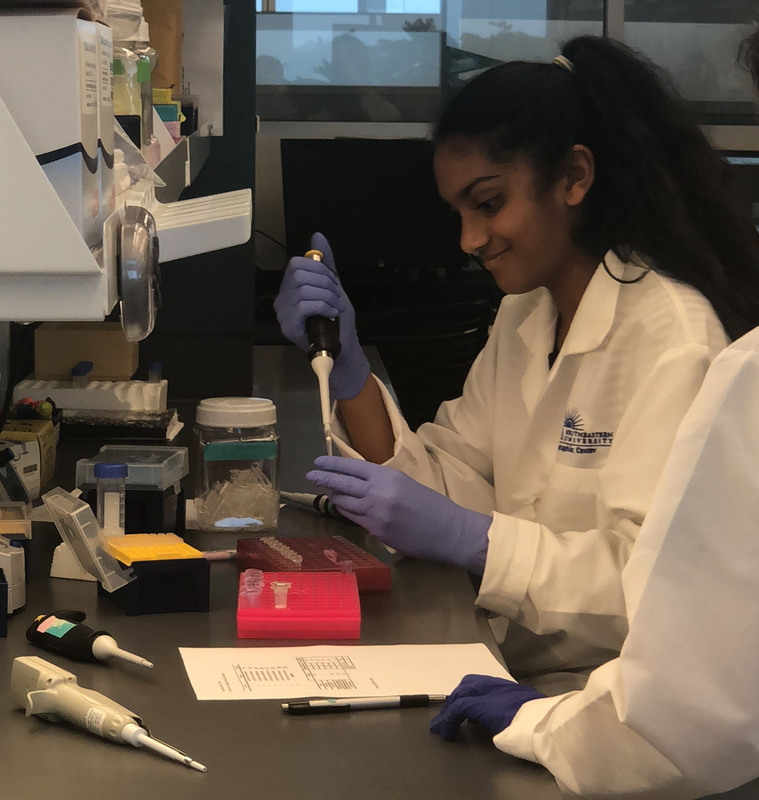 In order to find out which populations of blacktip reef sharks have the same or different genetic make-up, I worked and sequenced the DNA of blacktips in the lab at the Save Our Seas Foundation Shark Research Center USA at Nova Southeastern University in Florida. In the lab everyone was kind and patient – and they all love sharks and are eager to find out more about shark genetics. 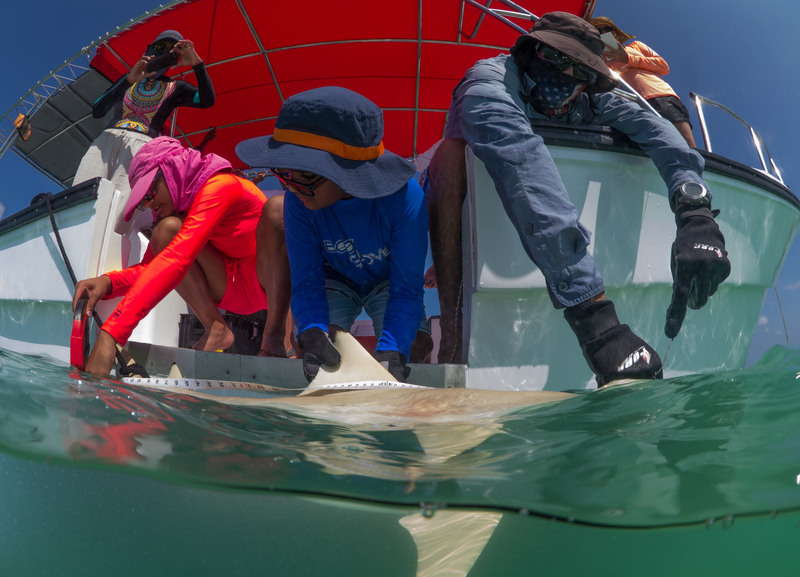 I worked there for a week and every day I did something different in order to determine the genetic make-up of populations of blacktips from different parts of the world. I was taught the correct pipetting techniques and eventually sampled the shark tissue. Then I learned to extract the shark DNA by making solutions, transferring them and then incubating them. From there, I cleaned the extracted DNA and began to work with PCR reactions and machines. Every day I came to realise the importance of that day’s work and how it could help in the world of genetics. I learned to purify and then finally use the ABI machine for sequencing. After many days of purifying the PCR reactions, I got results from sharks from the Red Sea, Australia and the Cocos (Keeling) Islands in the Indian Ocean. Sequencing the DNA was a repeated process, and we could even see certain patterns because the blacktips were similar. I compared the DNA sequences of blacktips from Palau (western Pacific), the Line Islands (central Pacific), Australia, French Polynesia, Cocos Islands and the Red Sea. Once I had determined which sequences of DNA were almost the same and which were different, I investigated how the sequences were similar, making a Neighbour Joining Tree of all the blacktip sequences. By looking at the tree, we determined that, for their size, the blacktips travel a long distance. For example, the genes from Palau were similar to the genes from the Line Islands. The blacktips are travelling unexpected distances to share their genes, which was a surprise to me. It is important to note, however, that I sequenced the DNA of only four sharks from each location, and many more shark sequences will need to be examined before we determine the full story about how genetically similar or different the populations are. 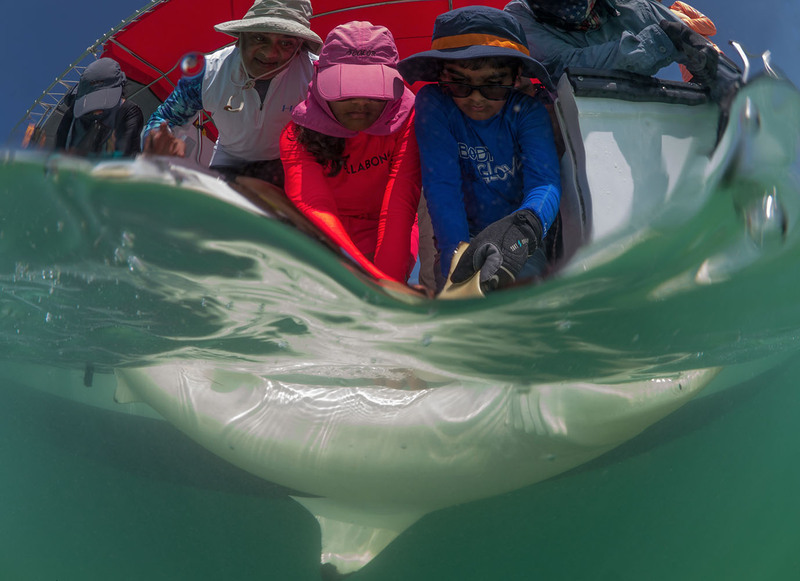 After finding that these sharks are long-distance travellers, I became interested in what additional DNA samples could teach us about blacktips sharing their genes in other parts of the world. Being in the lab and working with DNA every day enabled me to learn important techniques that are used to investigate which populations of blacktips have similar genes. I hope to continue this work throughout high school and use this information to help conserve blacktip populations around the world.